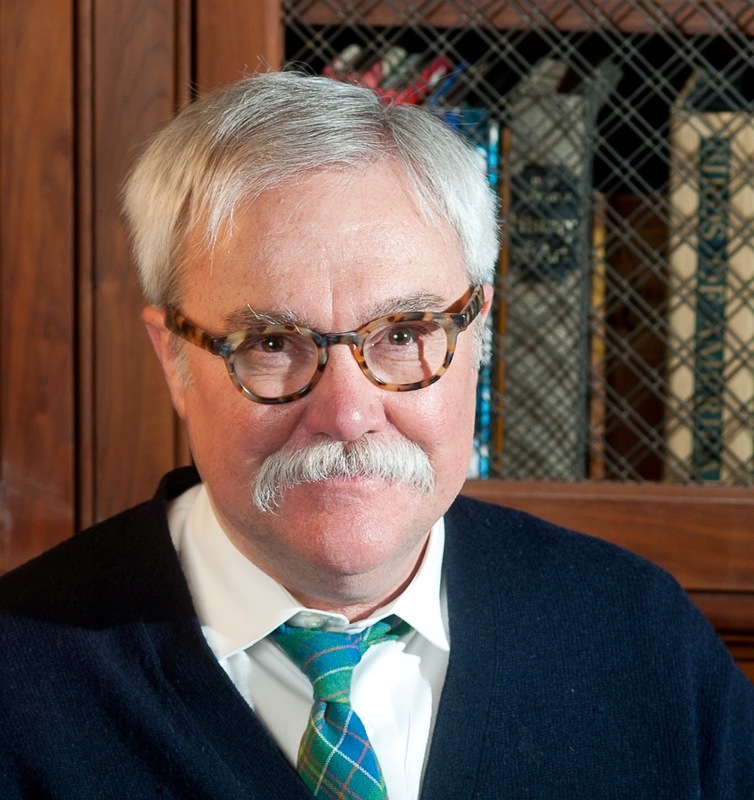 Thrilled to have a part II of my interview with William Peak up today. If you missed the first installment with nuggets on his writing rituals, research, and favorite writing advice, here it is. Today, thoughts on organization, a writer's journey, and an excerpt from William's novel, The Oblate's Confession based on the Dark Ages of the church. Q: Do you have any particular methods of organization for all your historical research? A: I'm afraid I really don't. A novel is a big, unwieldy organism, and the subtext and background that undergirds its world, the hidden scaffolding the reader never sees, must be even larger still. To put all that in motion and make it take form and life you have to really love your subject; you have to be obsessed with learning everything you can get your hands on about it. And then, learning all that, living it yourself day in and day out, month in and month out, you begin to dream and wonder another world into existence. It's all a bit of a mystery how that works, but when it does, oh that is a rush like no other! Q: Do you have a favorite character in The Oblate's Confession? Who and why? A: Hard question. In a way, if you want them to succeed as characters, to appear on the page as living breathing people, you have to love all your characters, even the really wicked ones. You want your readers to believe in them, to feel that they know them, understand them to a degree, and to achieve that, to give them motive and a credible personality, you have to get into your characters' heads a little, become them, walk for a while, in their shoes. Still if for the sake of discussion, you told me I had to choose one character from The Oblate's Confession to spend an evening with by the fire, there is little doubt in my mind that I would choose the old Celtic Catholic hermit, Father Gwynedd. I know he would have a lot to teach me, and probably some funny stories to tell as well. Q: Do you have a favorite book on writing craft? A: You know I really don't. There have been writers who have written about the writing life that I have admired--Wallace Stegner, Virginia Woolf, Henry Miller, Annie Dillard, James Joyce...But when it comes to the craft itself, I think we learn from every book we read, every sentence we read...and then, of course, there is the struggle each writer must undergo on his or her own to remove the dross, refine the silver. I think that struggle must be different and unique for each writer. And so I've always been a little distrustful of books that claim to understand (and to teach) the mystery by which the art of writing occurs. Q: Who inspired you the most in your journey as a writer? A: Probably my father. Of all the arts, he thought the writer's the most beautiful and the most affecting. I looked up to Dad as one might look up to a minor god, and so it was only natural that I should want to become what he most admired. Q: Who are your favorite historical authors? The snow makes a sound as it falls. It is a slight sound, as if the air the snow is falling through were muttering to itself, but it is a sound. And there is something else too, another sound, muffled, distant. Practice? Are they practicing? But it is gone now. Whatever it was, the sound is gone now, the cloister silent. Except for the snow. The snow falls and falls. Like sleep it settles around the figure of a man and holds him there, as in a dream, silent, still. It is Father Dagan. Father Dagan. Father Dagan is standing in the middle of the cloister, hood up, arms at his sides, a gray and silent figure surrounded by falling snow. There was a door. I remember that. A large door—big, dark, and, as I recall it now, new I think, the smell of fresh-cut oak creating a sort of refuge, a place into which I just fit. I was crying. The men were gone. The dark men in their dark clothes had marched off somewhere else, but I was still afraid. My father had left. It was almost nighttime and my father had left, and the dark men in their dark clothes said he wasn't coming back. But this man came back. He looked behind the door and there I was. He smiled at me. As if this were part of the game, as if his finding me behind the door had been part of some grand elaborate game, he smiled at me. He held a finger up before his lips which made me like him and make me want to laugh, but I did not laugh. I wondered what he was going to do. He didn't tell me a secret. He took me by the hand, and, gently, he led me outside. It was snowing. The air was soft with snow. It whispered in my ears and was cold and then wet on my face. I laughed. Again the man brought a finger to his lips. The smile made me shy. Why did he like me? He knelt down. Like a mother checking her little boy's shoes, the man knelt down. Only he wasn't a mother, he was a man, and he should have checked my shoes earlier, before, while we were still inside. I held my foot up for the man but, instead of checking the shoe as he should have he began to scrape at the snow on the ground before him. With big red hands the man scraped at the snow, raking it into a pile. A part of me wanted to kneel down beside the man, play in the snow with him, but I didn't. I was shy. I didn't know the rules. When the pile of snow was big, the man gathered it up into his hands and working quickly crushed it into a ball. The man placed the ball on the ground between us. A second time the man raked snow into a pile and a second time he crushed the snow together into a ball, set it on the ground between us. Then he stopped. Instead of making a third ball, the man stopped; he looked at me. I smiled. The two balls resting side by side were pretty. You could see where the man's fingers had pressed into them. But he wanted something, I could tell. He pointed at the balls and then he looked at me, eyebrows raised. Why didn't he just say what he wanted? Why was everyone so afraid to speak here? Had something happened? Had something really bad happened? The man's eyes grew large. He smiled at me, shook his head. Like a mother he shook his head, forbade me to cry. Then he reached out as if to comfort me; but instead of patting me or pulling me toward him, he pulled my hand out as if checking to see if it were clean. With his other hand the man now picked up some snow and placed it in the hand he held. He looked at me, looked back at the snow in my hand. I looked at the snow. It was pretty, one or two loose flakes just catching the light. The man looked at me again. He brought his now empty hands together and pretended to make another ball. I knew what he wanted! I brought my hands together as the man had and crushed the little pile of snow into a ball like his. I was surprised by how cold it was. Something about packing the snow tight seemed to squeeze the cold from it. The man took the ball I had made and laid it on the ground between us. My ball looked small next to the ones he had made. Then the man did something that surprised me. He pulled two sticks from his sleeve. Like an uncle pulling eggs from his ear, the man pulled two sticks from his sleeve. Sticks and not sticks: long and pointed like sticks but also shiny, polished, like overlarge needles. The man placed the two needle-stick things on the ground beside the balls. Again he looked at me. His eyelashes and beard were now white with snow but beneath the flakes I could see that he was smiling. I smiled too. He looked funny. The man's eyes grew large. He smiled at me, shook his head. Like a mother he shook his head, forbade me to cry. Then he reached out as if to comfort me: but instead of patting me or pulling me toward him, he pulled my hand out as if checking to see if it were clean. With his other hand the man now picked up some snow and placed it in the hand he held. He looked at me, looked back at the snow in my hand. I looked at the snow. It was pretty, one or two loose flakes just catching the light. The man looked at me again. He brought his now empty hands together and pretended to make another ball. I knew what he wanted! The man took the ball I had made and laid it on the ground between us. My ball looked small next to the ones he had made. Then the man did something that surprised me. He pulled two sticks from his sleeve. Like an uncle pulling eggs from his ear, the man pulled two sticks from his sleeves. Sticks and not sticks: long and pointed like sticks but also shiny, polished, like overlarge needles. The man placed the two needle-stick things on the ground beside the balls. Again he looked at me. His eyelashes and beard were now white with snow but beneath the flakes I could see that he was smiling. I smiled too. He looked funny. It was a man, a little man. We had made a snowman. I have no more memories of that night. Did we go into church afterwards? Was that where the other monks had gone? Did Father leave the little snowman standing as he had created it, out in the middle of the garth? Or did he knock it down? I don't know. I don't remember. All I remember is Father Dagan standing in the middle of the cloister, tall and silent, a gray figure with his hood up, snow falling all around him. At his side stands a tiny form, equally still and mute, white and simple--my first snowman. 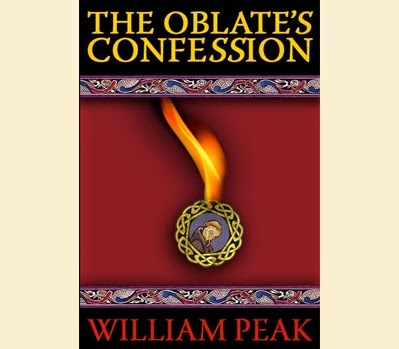 To purchase William Peak's novel The Oblate's Confession on Amazon click here.